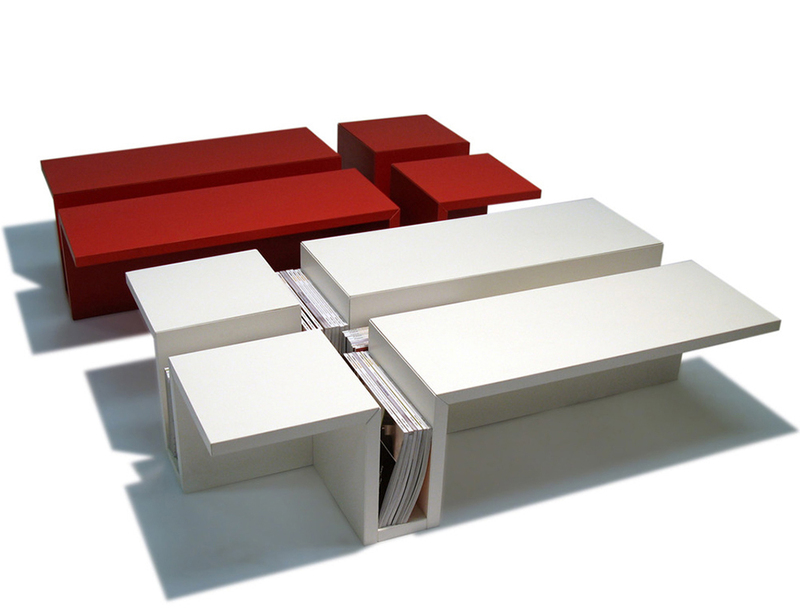 Hand made coffee table design to store and display magazines. There is a very basic geometric shape to this coffee table. Each dimension is repeated throughout the design, giving it a very clean and practical shape. 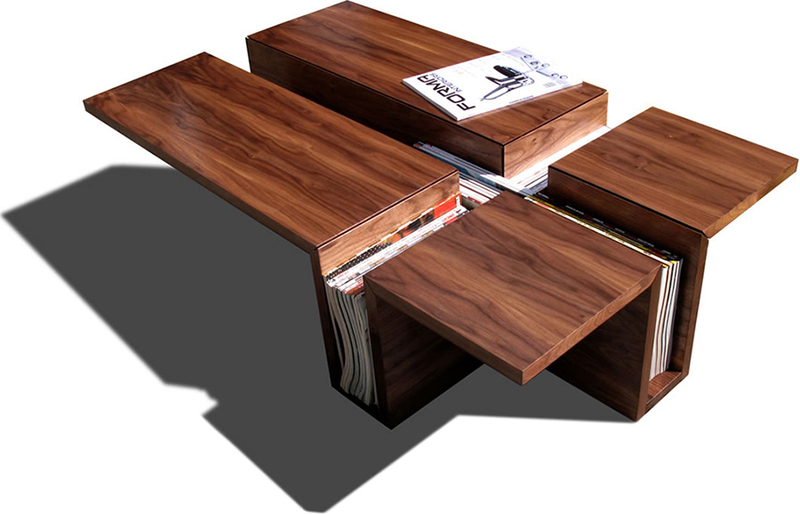 The coffee table is available in a range of materials and finishes like real wood oak or walnut veneer. All exposed edges are solid wood for durability and the coffee table is coated in a heat resistant lacquer, adding to its durability. There is also a lacquered version of the table available. This version again is lacquered with the highest quality lacquer, resisting stains and durable enough for everyday use. If you like the look of a high quality birch plywood edge, we have this in stock too with a formica lamination to the outside for the ultimate hardwearing/childproof coffee table. Dimensions: 1200mm long, 700mm wide, 310mm high.